The Deanna Protocol® is a part of the Winning the Fight Program for ALS, an all-natural metabolic program developed by Dr. Vincent Tedone through his research on Amyotrophic Lateral Sclerosis (ALS, or Lou Gehrig's Disease). Scientific studies conducted on the Deanna Protocol® by Winning the Fight have shown promising results. To view research studies, CLICK HERE. 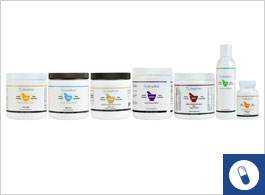 The Deanna Protocol is a natural ALS treatment of supplements that may be beneficial for neurodegenerative diseases and motor neuron diseases (MND) such as: Amyotrophic Lateral Sclerosis (ALS), Primary Lateral Sclerosis (PLS), Progressive Muscular Atrophy (PMA), Kennedy’s Disease, Dystonia, and many others. 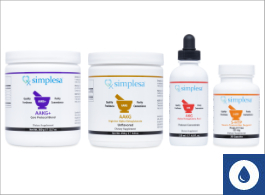 Simplesa multi-pack bundles combine the nutrients in various forms (AKG Liquid or Capsules) for easy ordering. All multi-pack bundles provide a 30-day supply. We provide complete instructions, videos, and a personalized call upon delivery. The Winning the Fight Program for ALS consists of a few different components. The overall program is separated into substances that have shown (in lab studies) to be effective in ALS and substances that promote overall neuromuscular health. The first and most important component of the Winning the Fight Program for ALS is the DP™ Plan Essentials. 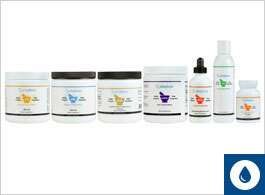 These substances are AAKG, AKG, GABA, Ubiquinol (CoQ10), Niacin (non-flush), and 5HTP (5-hydroxtrytophane). Another component of the Winning the Fight Program for ALS consists of ancillary substances, some of which have been found effective in Deanna, but have not yet been proven in a lab, and others of which the National Institutes of Health (NIH) claims maintain the health of the nervous system and muscles. Many of these ancillary substances can be supplied by a healthy diet. However, individuals with ALS may need more of them than healthy individuals, which is why taking the ancillary substances makes sense for those who can afford to cover the cost. The NIH has published a manuscript "Nutrition and Supplements in Motor Neuron Diseases" which emphasizes the importance of nutrition to support quality of life for PALS. AAKG+ Core Powder contains the full recommended daily dosages of GABA, Ubiquinol and Niacin and the minimum dose of AAKG. Liposomal Glutathione is considered the best antioxidant for the central nervous system. The Total Health AM & PM contain 20 nutrients that support muscle and nerve health based on research from the NIH. All are included in the Winning the Fight Program for ALS. 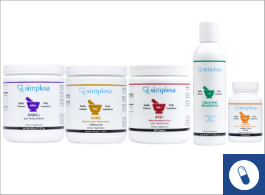 For patients with Amyotrophic Lateral Sclerosis (ALS) following the Deanna Protocol, Simplesa offers products to simplify this routine and build on this regimen. Add one scoop of Simplesa AAKG+ Core Powder** and, if adding, 1 scoop of Simplesa Total Health AM & PM to 4 to 8 ounces of water or other liquid and drink. Take 1 teaspoon of Liposomal Glutathione. Add 1 scoop of Simplesa AAKG+ Core Powder** to 4 to 8 ounces of water or other liquid and drink. 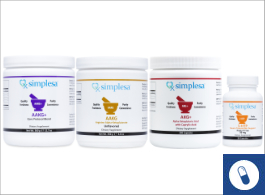 Add one scoop of Simplesa AAKG+ Core Powder** and, if adding, 1 scoop of Simplesa Total Health AM & PM to 4 to 8 ounces of water or other liquid and drink. Take 1 capsule of 5-HTP. 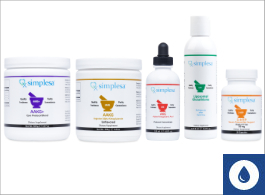 Each waking hour between doses of the Simplesa AAKG+ Core Powder, add one dropper of Simplesa AKG Liquid to 4 to 8 ounces of water or other liquid and drink, or take 1 capsule of Simplesa AKG+. **Simplesa AAKG+ Core Powder is formulated to provide 9gm of AAKG/day. Supplementation with additional AAKG may be needed depending on your requirements. Winning the Fight, Inc. The Deanna Protocol is overseen by the 501(c)3 nonprofit Winning the Fight, Inc. (WFND). WFND is a 100% volunteer organization with a home base in Tampa, FL, and a network of volunteers and donors around the world. They are dedicated to raising awareness about neurodegenerative diseases (NDs), as well as seeking and funding new treatments for NDs.